Beattie Matheson has been proudly distributing and establishing premium global sports, outdoor and lifestyle brands in Australasia since 1982. We have a rich history in both footwear and apparel with extensive knowledge of our market that has come through more than 60 years of accumulated knowledge. We are a family-owned business with strong family values. We put relationships first because we know that brands grow from strength to strength through commitment, loyalty and trusted partnerships. We are absolutely passionate about all of the brands we distribute and the people behind them which is why we enjoy long-term partnerships that have lasted multiple decades rather than seasons. We connect brands with retailers and consumer alike through strong relationships and trusted partnerships. We are a family-owned business with strong family values. This means we actually care about people – our staff, our consumers, our customers and our suppliers. We wouldn’t be here without them. We are proud to be renowned in the industry as passionate about our brands. We walk the talk. We are straight up people - we say what we think and do what we say. We believe that reputation is a reflection of integrity. Being Loyal comes easily to us. We combine fresh perspective with years of experience to create Brand Magic. To be the leading and most sought after lifestyle & performance distributor in Australasia. We are very selective about the brands we partner with and will never take on a brand we don’t believe in because there is no tenure in that. If you have a brand that meets the above then we’d love to explore the opportunity with you. "Beattie Matheson has an outstanding team of industry professionals who all show a huge passion for their business." 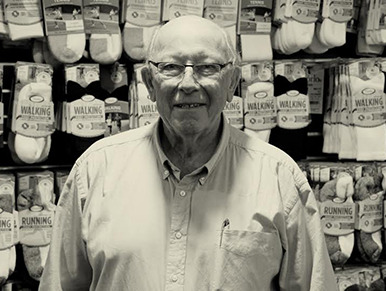 John has had a successful commercial career that spans more than 50 years, from his beginnings with Mobil Oil to consumer durables with Fisher & Paykel. Whilst with Fisher & Paykel, he established Panasonic as a brand in New Zealand and was involved in exporting New Zealand made white ware and medical products to Africa, Europe, the Middle East and USA including technical licencing agreements in South Africa, UK and France. John established Beattie Matheson Ltd in 1983 and enjoys fantastic relationships with customers and suppliers around the globe. John has developed BM into the reputable company it is today founded on great brands backed up with great company values and he enjoys utilising his vast experience to direct BM in all facets of the business. Angus joined BM in January 2012 returning from five years of working and travelling abroad. With six years commercial banking experience both in New Zealand and London, Angus has been privileged to work closely with companies of all shapes and sizes across numerous industries and in multiple countries. He shares his father‘s passion for retail and since he has joined BM he has been focussed on working closely with the sales team to continue the strong growth of the business. Alongside John he loves managing all the relationships with our suppliers. He is passionate about discovering new brands and exploring opportunities that drive growth for our existing portfolio.